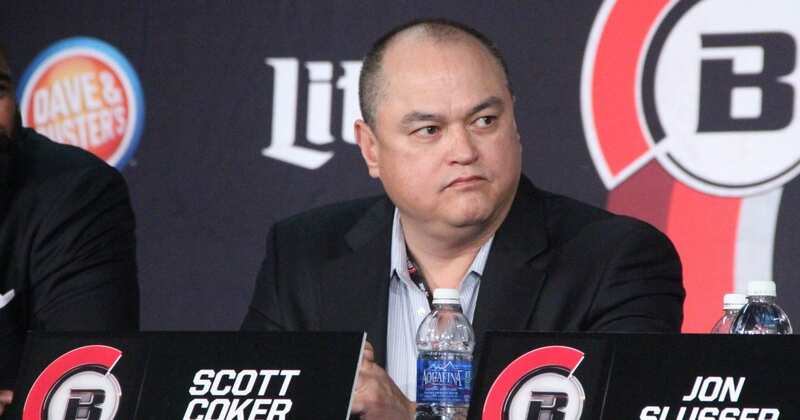 After months of speculation, Bellator President Scott Coker has officially announced the promotion’s upcoming featherweight Grand Prix tournament. 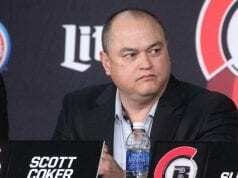 The announcement came earlier today (Tues. April 2, 2019) at the Bellator London press conference. 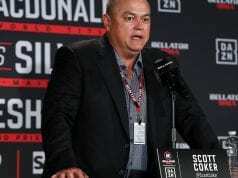 Coker revealed that the tournament is expected to get underway around October. 16 of Bellator’s finest 145-pound competitors will be competing in the Grand Prix. The first full round of the tournament, which will be eight fights, will all take place on a single card. As of this writing, it is unknown if featherweight champion Patricio Freire will take part in the action. He is preparing to challenge for lightweight champion Michael Chandler’s title soon. Pending the result of that contest, Freire’s plans should become much more clear. Bellator has been very active with tournaments lately. Ryan Bader was crowned the promotion’s new heavyweight champion after winning the Heavyweight Grand Prix Tournament by making quick work of the legendary Fedor Emelianenko in the finals in January. Also, the Bellator Welterweight Grand Prix Tournament, featuring the promotion’s 170-pound champion Rory MacDonald, is currently underway.